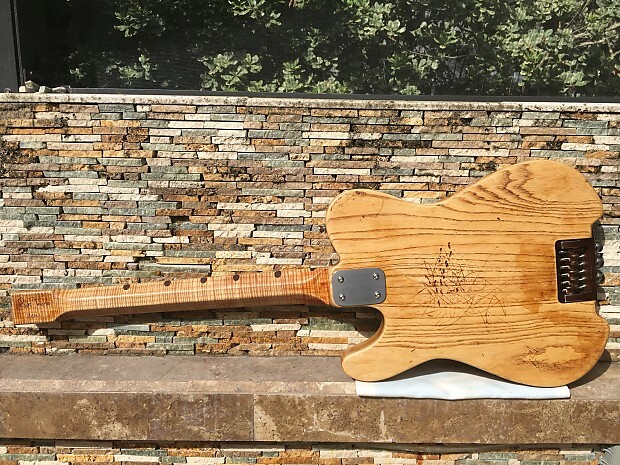 Leo's Masterpiece, reinterpreted and relic'd by the extraordinary luthier Rick Toone. How can you improve on Leo's work, while honoring it? He succeeded... and created a functional work of art that will likely never be repeated, as some of the hardware will likely never exist again. 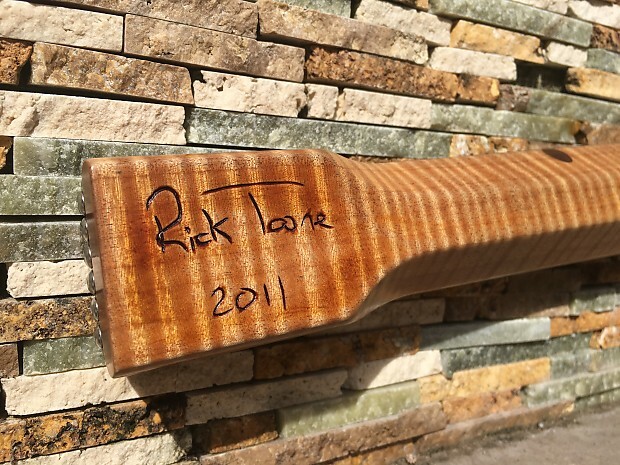 -Gorgeous flame maple neck with Rick Toone's patented trapezoid-shaped neck profile. Thumb-over licks and bends have never been easier. -Mild fan-fret... In addition to ergonomic benefits, the slightly long bass strings give the bass notes extra clarity and snap, while the slightly shorter treble strings are easier to bend. You are used to it instantly. -Toone & Townsend patented headless tuning system, made out of anodized aircraft-aluminum, lightly reliced. 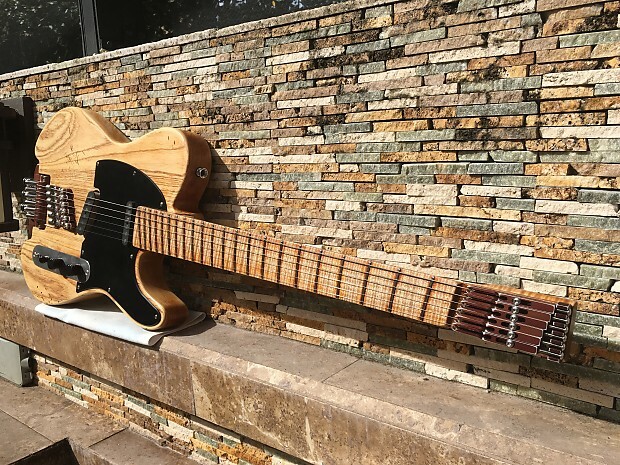 Now your guitar will sit perfectly balanced, and you will never bang your Tele out of tune. -Toone & Townsend patented intonatable nut... If you have ever noticed that it's not possible to play a first position "G" chord and a first position "E" chord after each other without hearing "warble", it's because your nut is not intonated... Now you can have these two chords be clear, for the first time ever. -True single-coil Fralin pickups... that are totally hum free. The black pickguard has an Ilitch Noise Canceling System going around it. Zero loss of tone... and zero hum. -So many more features... a unique ToneStyler tone pot with no detents... a tiny arm bevel for comfort... The list goes on. Plus, it's a work of art, too -- marrying the past with the future. It's a brilliant reimagining of Leo's masterpiece. This guitar belongs in a museum... If it wasn't so darn awesome to play. If you are interested, do not hesitate... 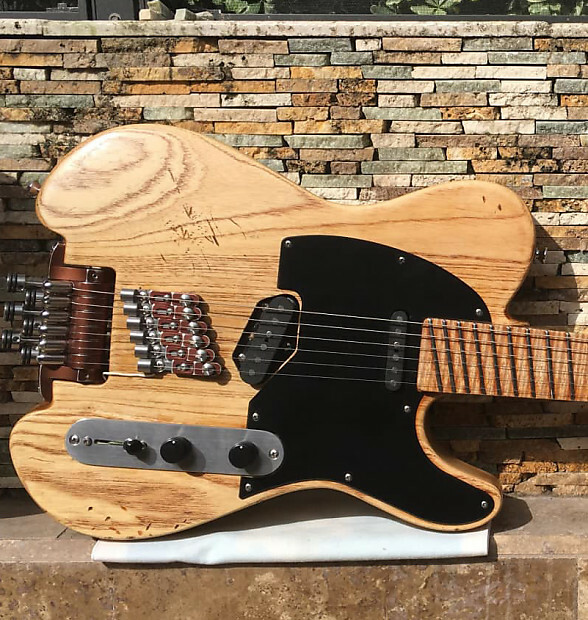 This is not an off-the-shelf Telecaster. This is a work of art. 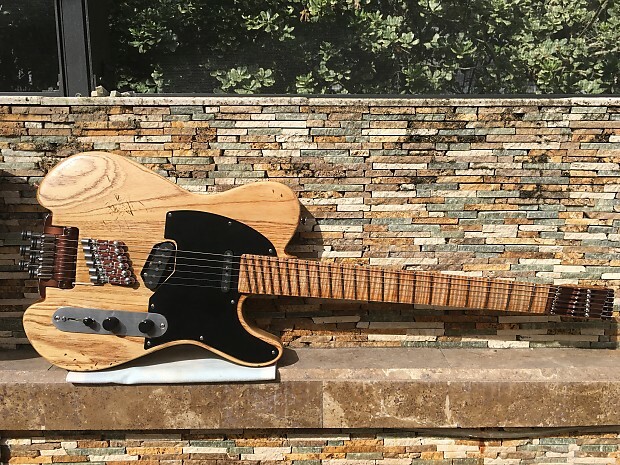 Once this guitar is gone, you will likely never have another chance to own this guitar or one like it. Continental US ONLY unless otherwise noted. If in Alaska, Hawaii or Canada inquire before purchase. ship via Fed/Ex or USPS within 2 business days of purchase.